Robert Fitzgerald of the royal commission is described in government and news reports as having close ties with the Catholic Church. He has worked in several positions at Catholic organisations. In 2001, he received an honorary doctorate from the Australian Catholic University, where he remains an adjunct professor and member of several advisory boards, including the Community Engagement Advisory Board. He has been the NSW President of the St Vincent de Paul Society and a national committee member of Caritas Australia, the Catholic Church’s peak welfare body. In another speech, this time to the Christian Brothers Schools Association, he notes that he is, “immensely grateful for my long and rich association with the Christian Brothers as a student, parent, and colleague for most of my life.” He continues by declaring that he, “has no doubt in concluding that the forging of right relationships, based on love, respect, and truth is the distinctive feature” of Christian Brothers schools. Robert has served the church extensively through its many welfare organisations. As a member of the Productivity Commission, he attacked the government’s intention to provide wage justice to charity and welfare workers. For example, the Early Childhood Development Workforce report by the Productivity Commission claims that childcare costs would rise significantly. At the Community Services and Health Industry’s Skills Council national conference, he is reported to have “warned of the very real possibility that wage increases could have a negative impact on the affordability of aged care services” (The Australian, 25/10/2011). Mr Fitzgerald also conveys a Catholic perspective to many non-Catholic organisations. He is a director of the Foyer Foundation, which works with homeless youth. He shares a board position on another body with the CEO of Anglicare and “headlined” the 50th national conference of the YMCA along with independent MP Andrew Wilkie (YMCA, 12/11/12). 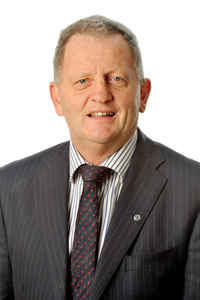 Mr Fitzgerald is also a director of Families Australia and the Association of Charity Welfare Agencies. Further, he has been a president of the Australian Council of Social Services and Chair of the National Round Table of Nonprofit Organisations. A very busy man indeed. It is not surprising that Mr Fitzgerald is known in some circles as ‘the Pope’s man’, which has particular significance given the widespread speculation that currently exists that Australia’s Cardinal George Pell is in line to become the next Pope. Many would beg to differ with the learned Mr Bowyer’s opinion. This entry was posted in Uncategorized and tagged Andrew Wilkie, Anglicare, Australian Catholic University, Caritas Australia, Catholic Church, Christian Brothers, conflict of interest, Forgotten Australians, Foyer Foundation, Geoff Bowyer, George Pell, Lewin Blazevich, Lewis Blayse, paedophiles, Productivity Commission, Robert Fitzgerald, Royal Commission into Institutional Responses to Child Sexual Abuse, St Vincent de Paul Society, YMCA. Bookmark the permalink.